Are you interested in investing into the shale oil boom but nervous about the risk? A safer alternative could be investing in companies that service the industry such as Helmerich & Payne (HP). 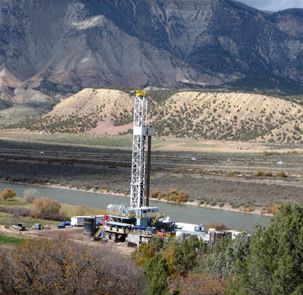 HP is the leading U.S. provider for land contract drilling services. Their drilling techniques use directional and horizontal drilling, critical for shale fields. HP has long been a dividend growth player with 41 consecutive years of growth with the most recent annual increase coming in at 7.7%. 2013 earnings have been strong with HP already reporting $5.33 per share and they still have one quarter left to report which should place EPS in the $7+ range. Compared to 2012 earnings of $5.34 EPS this represents a 40% improvement year over year. HP rig assets consisted primarily of U.S. based land rigs and year over year increases average about 13%. Looking at the balance sheet, HP’s efforts to dramatically decrease long term debt has been successful as the debt to equity ratio is down to an all-time low of .05. HP also has maintained a backlog of services of $3.6B in 2012 and $3.8B. 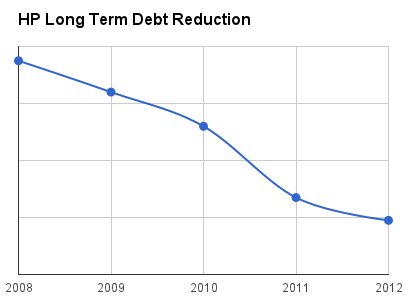 Combined with the decrease in debt liabilities it becomes easier to see how solid their earnings have become. One item in the 2012 annual financial statement that jumped out at me was a large increase in accounts receivable $460M in 2011 to $620M in 2012. But there was also a dramatic increase in annual revenue from 2011 to 2012 and when you create an “AR/Revenue” ratio both years are 18% so no cause for alarms. The one area of weakness I found with HP was their source of earnings. 59% of HP's annual earnings come from only 10 major oil & gas exploration companies. If just one of these companies cancels a drilling contract it would greatly impact earnings. In summary, HP is currently operating in a boom U.S. shale market with strong a balance sheet and backlog of orders. Their dividend rate looks to be secure and their long history of dividend growth should continue. Note: I do not own this stock at time of this writing.